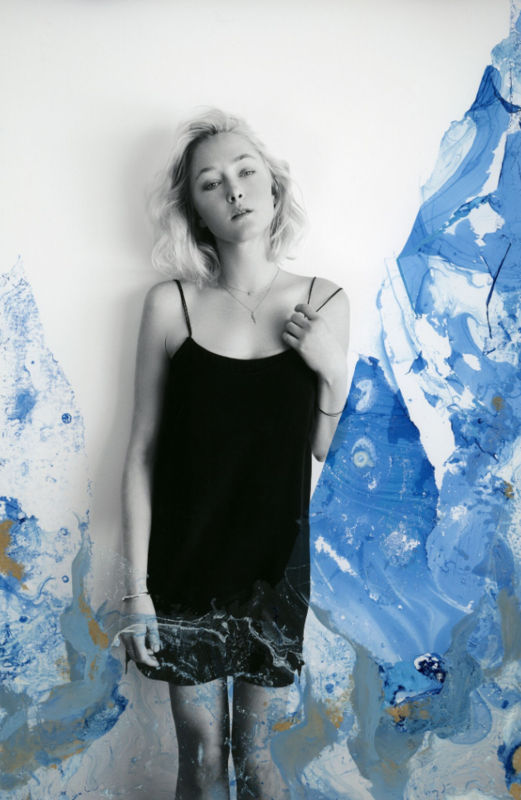 Meet Amy Finlayson; the artist slash model slash creative force of nature who’s taken the art world by storm. Fresh off her recent collab with The Journal, Amy talks career beginnings, creative control and getting by with a little help from your friends. “I would describe myself as a multi-disciplinary artist”; Finlayson responds when asked how she defines her artistry; a mode of expression that, by its very shifting, ineffable nature, remains perpetually in flux. Just like Amy. 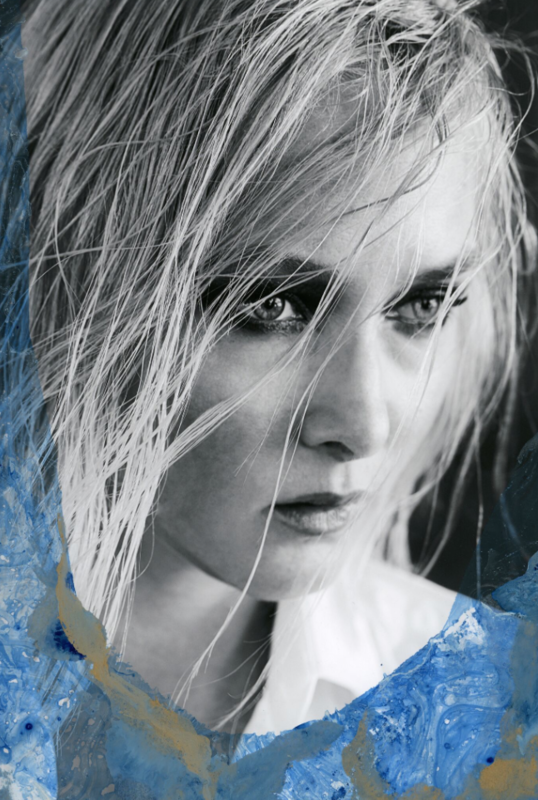 “Whether I’m painting or creating something; it’s always such an internal expression of what’s going on in my head”. Those somethings – be they painted, prosed or otherwise – are less the products of measured preparation, and more of an exercise in cognitive abandon. “I could plan something to the nth degree and [still] have it turn out completely different. I think all creatives can relate; you really have to trust your internal voice and relinquish some of that control”. The method’s clearly working. A mere few years into her prospering creative journey, Amy’s well earnt her stripes; counting the mediums of paint, installation, mixed-media and writing amongst her arsenal of skills. It’s a credit to her ambidextrous approach to image making; a courage in the face of uncertainty; “As an artist, you always have to push your boundaries and find things that make you a bit uncomfortable. That’s life; that’s where you learn”. Amy’s also graced countless editorial pages and covers (VOGUE, Bazaar, Oyster – to name a few), entering into full-time modelling straight off the back of high school. Following her move to the big apple, Amy commenced her Bachelors in Fine Arts and Visual Culture by correspondence; living between New York, Sydney and her native Perth for a period of five-to-six years. “It was an incredible time,” Amy recalls; “I was living in Gramercy Park, New York when I started my degree and one of my friends worked at the Rose Bar hotel. I’d head upstairs, order a pot of coffee and sit there for hours studying underneath the paintings that I was learning about. It was pretty cool to be living in that city; to be immersed in all of it”. A true renaissance woman, for Amy, inspiration is abundant, universal. “We’re surrounded by so much visual stimuli in today’s society, you gather inspiration without even realising,” she continues. “Shortly thereafter; I started my website slash company, (The Finn Collective) and began producing art exhibitions and collaborations while publishing written articles”. On the subject of collaboration, Amy muses; “The projects I choose are usually based on who I know and who is able to come on board. I’m good friends with a lot of the people I work with and having that kind of a relationship [with collaborators] is really important; you need to be honest with the people you’re creating with”. 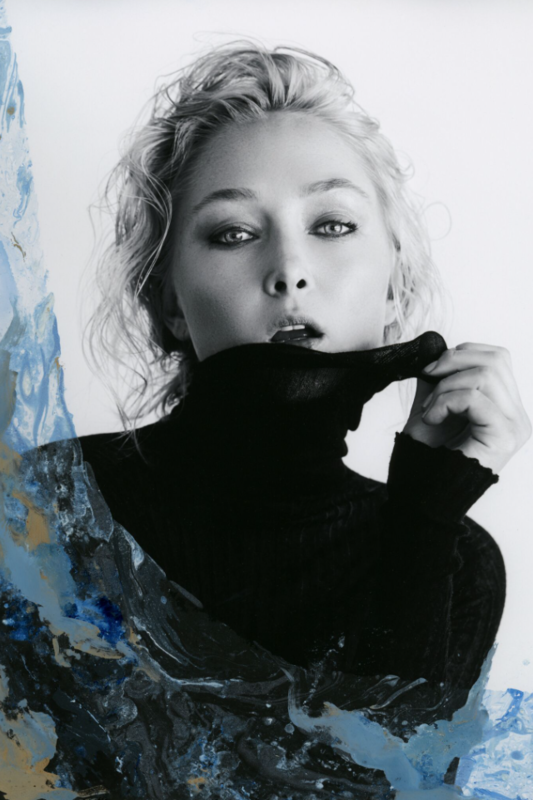 Her latest incantation; ‘bluenero’ saw Finlayson tee up with The Journal x Haircare Australia Creative Director, Lauren McCowan for a series of paint-rendered, black and white photographs. 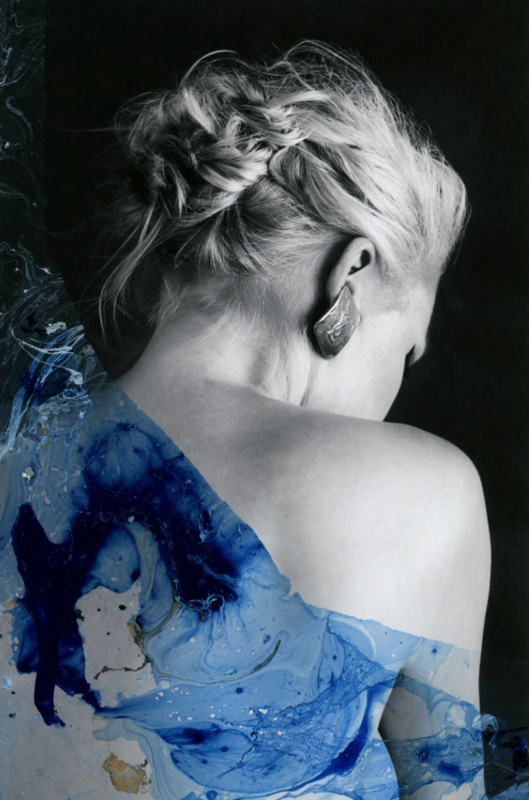 Of the project, Amy enthuses; “After throwing ideas around, we decided to pare things back and really showcase our combined talents; beautiful hair, beautiful photography – keeping a large, plain backdrop [upon] which I could paint”. In all, a solid day’s work; “It was one of those perfect days at work; just a bunch of creatives hanging out”. As is the dream. “The boundaries are endless; especially in today’s society where you can work and collaborate with so many different people. It’s so nice to celebrate fellow humans’ achievements and work alongside others; that’s really the basis of my business”. Next Next post: CAMPAIGN: ONLY EVY.